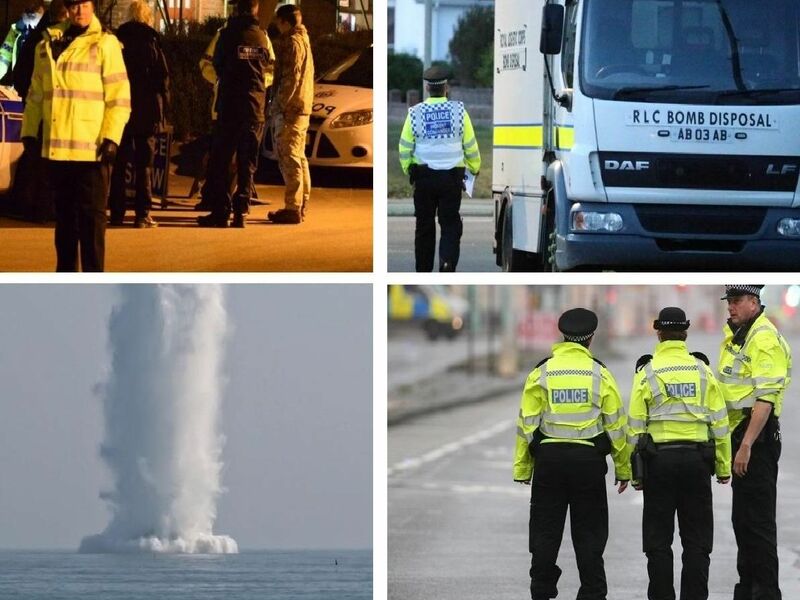 Following the incident at The Diplocks in Hailsham on Monday night, here are some of the other times that bomb disposal units needed in Sussex. Bomb disposal experts were called to The Diplocks in Hailsham on Monday, where they safely exploded a device that was found. This is the moment a 1,000kg German WWII sea mine was safely detonated off the coast of Bognor Regis in May 2018. This 'potentially live' Second World War bomb was found at Pagham beach in September last year. Bomb disposal experts were called the the device was safely detonated. A cache of 80 grenades was found at a building site off of Kings Drive in Eastbourne in 2015. The WWII-era weapons were safely dealt with by experts.